Evaluations, Deal Structure and more…. Minority Lawyers As Investors in Innovation!!!! To help grow minority and women owned companies in the U.S., this year we added to the conference the Minority Counselor Angels Boot Camp – to train minority and women lawyers to become investors in the change they want to see in the profession and in their communities. 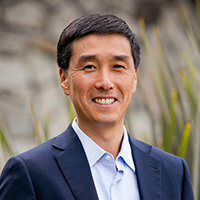 We have partnered with 37 Angels, Inc., a national angel investors training program, led by Angela Lee, its CEO and CIO of the Columbia Business School. 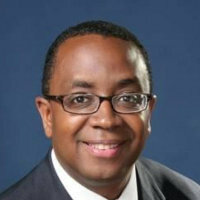 The mission of the boot camp is to foster the development of angel groups within the MinorityCounselor.com lawyer network that will invest in new technology or businesses started by minority or women lawyers or entrepreneurs that will solve problems in minority communities or improve legal services to minority communities or corporate or government agencies. At the end of the boot camp, each attendee will become a designated Minority Counselor Angel and utilize the MC Angel branded logo and can participate in the to be developed angel fund. To attend the Bootcamp, you must subscribe to the MCTV Network as a Premium Subscriber or the Non-Subscriber rate below will apply. All attendees must subscribe to the MCTV network in order to attend this event.) All attendees will be designated Minority Counselor Angels on their profile (the MC Angel logo) and shall receive private invitations to Minority Counselor Angel only special events year-round. 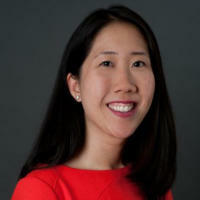 This one-day boot camp curriculum is developed by Angela Lee, Associate Dean at Columbia Business School. The curriculum includes access to a library of curated online resources to help demystify the world of angel investing, free attendance at 2 start-up pitch-events and access to 37 Angels educational events for 1 year after March 2017. Angela is a sought-after expert on CNBC, Bloomberg TV, and Fox Business and is regularly featured in media outlets such as Forbes, Huffington Post, and Fast Company. Entrepreneur Magazine recognized Angela as one of Six Innovative Women to Watch in 2015. 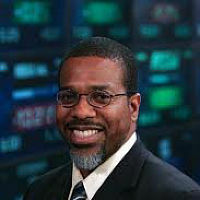 Any legal professional interested in investing in minority and women owned start-up/emerging businesses. A must attend for in-house counsel whose company invests or acquires emerging businesses or for in-counsel, government lawyers, public interest or professors looking to go in-house for a start-up/emerging company. By learning how start-ups are evaluated by investors, their financial governance issues and ventures portfolio strategies, in-house counsel can advance quickly within the company and become shareholders and more. The Boot Camp will help counsel to leverage the knowledge gained from this boot camp to select the right companies to join, or navigate up the ladder within the start-up and develop the best compensation strategy for joining the team. A must attend for outside counsel seeking to service start-ups as incorporators or trusted advisors. Attendees will gain strategic insight into the demands of start-ups to anticipate future needs to grow the outside counsel’s services with the start-up. The value of this boot camp to all lawyers at any stage of your career is immeasurable! All attendees must subscribe to the MCTV network in order to attend this event. All attendees will be designated Minority Counselor Angels on their profile (the MC Angle logo) and shall receive private invitations to Minority Counselor Angel only special events year-round. Price: $1,000 with early bird discount of $250 if you sign up by January 31, 2017. Non- Subscriber rate is $2,900 through March 13, 2016. Seats are limited! 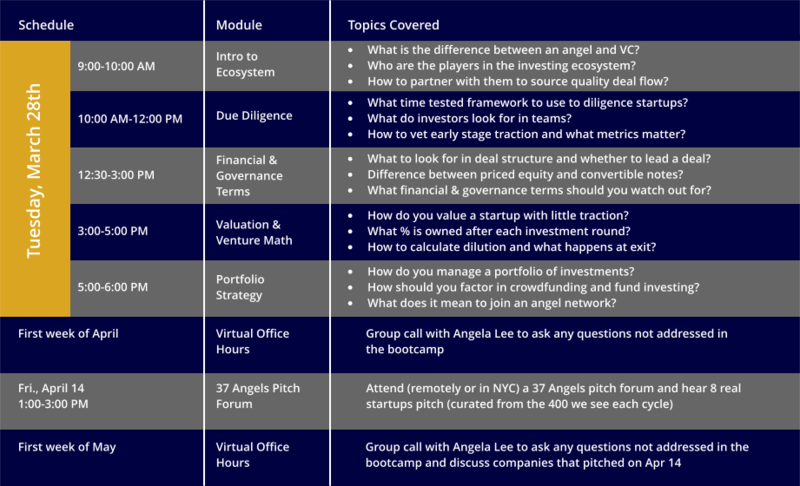 This bootcamp typically costs $4500 – get this deep dive investor education, training materials and online resources at a discount through the Minority Counselor Angels network! 1 DAY COURSE SCHEDULE – Download the 2017 Bootcamp Schedule.